This video was taken at a workshop run by heritage interpreter, Sarah Douglas and artist, Jenny Bircher. 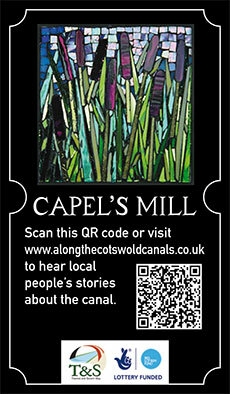 The work that the group did on mosaics about the Cotswold Canals has insipred Jenny to create a series of mosaics. The originals can be seen on display at the Lock Keeper's Cafe and copies can be found on trail waymarkers along the canal. One of the trail waymarkers.